Eco-Cycle has identified these city/county composting programs and composters as national models for keeping plastics out of our soils. These programs do not allow plastic-coated paper products in their feedstock, and clearly state why and how to differentiate between acceptable and unacceptable products. This list represents about half of the composting programs and facilities in the US, but plastic pollution is a big threat and we want to see all facilities and programs make this a standard practice. Tell your community program or composting facility you want to see them on this list and have them take our pledge to keep our soils free of plastic pollution. Our map is based on phone calls and website research using BioCycle's annual report of municipal composting programs and some additional resources. Location: Near the old Catholic Church. View a Map. Hours: Mobile collection provided on the 2nd Saturday of each month, 9 a.m. - 11 a.m. Please rinse containers. Do not crush or flatten. Larger single-layer boxes, such as: cereal boxes (throw away inside bag), gift/shirt boxes, shoe boxes, 6-pack & 12-pack cartons/boxes. Smaller, low-grade paper items such as: cracker boxes (throw away inside bag), hanging file folders, paper egg cartons, soap boxes and facial tissue boxes, paper shopping bags (brown bags go with corrugated cardboard), paper tubes (e.g., paper towel tubes, toilet paper tubes, etc.). Location: At trailhead near Hwy. 52 and N. 79th St. View a Map. Looking for scrap metal recycling? As of August 1, 2011, the Boulder County Recycling Center no longer accepts scrap metal. 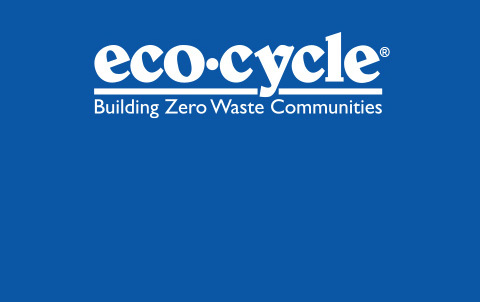 The new City of Boulder location for scrap metal recycling is the Eco-Cycle CHaRM in Boulder. Plastic bottles, tubs, jugs and jars; OK to recycle screw-top plastic caps on empty plastic containers. View an example on our printable single-stream guidelines. PLEASE NO: Neon, fluorescent, or dark-colored papers, newspaper or cardboard, Kraft or goldenrod (orange-brownish) envelopes, sheets of address labels or stickers. NO other papers, boxes, bags or string. Single-layer boxes, such as: cereal boxes (throw away inside bag), gift/shirt boxes, shoe boxes, 6-pack & 12-pack cartons/boxes. NO Kraft (orange/brownish) envelopes; Neon, fluorescent or dark-colored paper; Paper towels; Paper cups, photographs; Frozen food, ice cream & frozen juice containers; Photographs; Pet food bags. Do you have an unusual item you want to recycle? Check out our A-Z Recycling Guide. Rock Creek residents receive recycling service from Town & Country Disposal which provides one bin for aluminum and steel cans, glass bottles and jars, and #1 and #2 plastic narrow-necked bottles. Newspapers can be set out in a separate container or in a bag on top of or under the bin. Residents of Original Superior can also receive recycling pick-up from Town & Country or from one of the haulers listed below and just need to call to sign up for this service. The Superior Drop-off Center closed in January 2010. Residents can drop off their recyclables at the Boulder County Recycling Center. Find direction and materials accepted. Accepts single-stream recycling and more. See below. Hours: Open 8 a.m. - 4 p.m., 6 days a week; Closed Wednesdays and holidays. Accepts logs, decayed and chunk wood, noxious weeds, slash and branches, and pine cones, needles, and leaves. Does NOT accept logs with branches, loose weeds, potted plants, dimensional/treated lumber, construction waste, rocks, dirt, fireplace ash, stumps, root balls, sod, or grass. See website for details and guidelines. Open Wednesday – Saturday from 9 a.m.- 5 p.m. from May 2 – October 13. Scrap metals of all types are accepted. Appliances are accepted for a fee. Please call for information. Scrap metal is NOT accepted in single-stream recycling. NO computers, TVs, or other electronic equipment. Click here for electronics recycling.